Swedish metal crust punks MARTYRDÖD is currently in the studio to record their upcoming, seventh studio album, Hexhammaren. 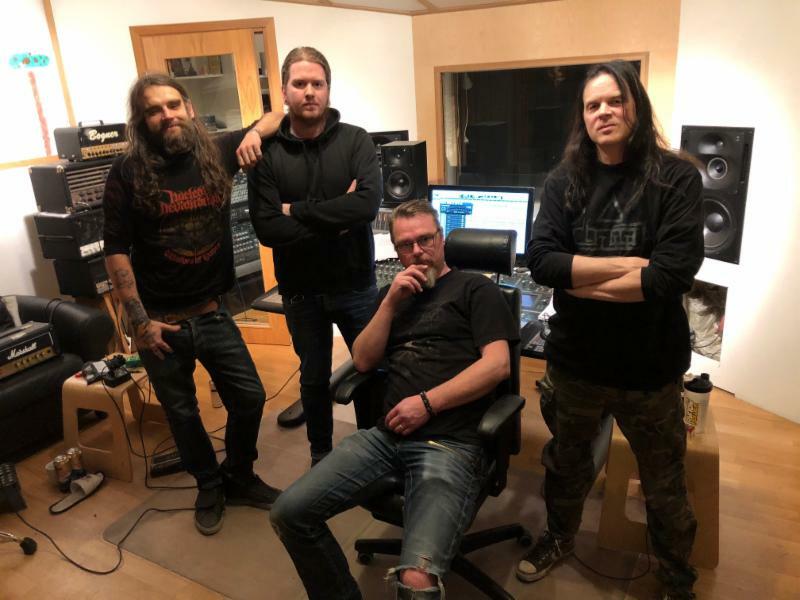 The recording is again being handled by Fredrik Nordström at Studio Fredman (Wolfpack, At The Gates, In Flames) in Gothenburg, Sweden. MARTYRDÖD will once again release the album through Southern Lord in North America, as with their prior three LPs, with Century Media handling the album internationally. Hexhammaren is planned for release in May 2019. Watch for updates on the new album to be issued in the weeks ahead. MARTYRDÖD has also announced several upcoming live performances including several vestivals throughout Europe with more to be announced.